Dr. Zurawin graduated top of his class at the Atlantic Institute of Oriental Medicine in Fort Lauderdale, Florida. He is state licensed and nationally board certified as a Diplomate of Oriental Medicine by the NCCAOM. 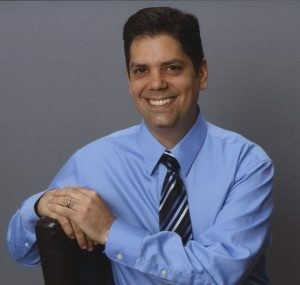 In addition to extensive training in Traditional Chinese Medicine, Dr. Zurawin holds a Master’s Degree in Counseling Psychology from Nova Southeastern University and is also a Reiki Practitioner. These complementary disciplines allow Dr. Zurawin to promote healing of mind, body and spirit. Dr. Zurawin lived in Japan for several years. It was there that he continued to cultivate his spiritual practice through meditation, Zen and martial arts. His calm demeanor puts you at ease immediately; providing a safe and nurturing environment in a relaxing and comfortable setting. He is a great listener and provides the necessary feedback to ensure that mutual goals toward health are achieved. As a holistic practitioner, Dr. Zurawin evaluates all levels of a patient’s condition; taking into consideration not only the symptoms presented but also lifestyle, dietary habits and emotional state. Because every person is unique as well as the manifestation of their condition, the treatments are custom tailored to the individual in order to achieve the best possible outcome. Dr. Zurawin believes holistic medicine is about having an open, honest dialogue with his patients and encourages them to become active participants in their own healing process. To facilitate this, he also offers nutritional, wellness, and lifestyle counseling. With counseling and awareness, it becomes easier for patients to make informed choices based on wellness, vitality and health — rather than focusing on fear and disease. Dr. Zurawin takes you a step further. He works with you to help you achieve true optimal health from the core of your mind and body, your cells to your organs, so that your entire being is functioning at its optimal state. In this heightened state, your body and mind are better able to naturally withstand the stresses of everyday life, thus limiting their negative effects on your being. Employing a natural, drug-free, and safe medical system in use for thousands of years, Dr. Zurawin combines his expertise in acupuncture, herbs, meditation, psychology and nutrition to all play an active role in healing and prevention of disease. By having Dr. Zurawin as your trusted health care provider you will be supported every step of the way in your journey toward Optimal Health. This high level of care and service generates Wellness, allowing you to enjoy the quality of life you deserve.